Program dates: June 5 - July 12, 2019. All application materials must be received by 11:59 p.m., April 21, 2019. 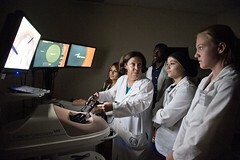 Since 1979, the Horizons in Medicine program at Wright State University Boonshoft School of Medicine has offered local high school students, mostly from disadvantaged or minority backgrounds, the opportunity to see first hand the science and delivery of health care that forms the foundation of a career in medicine. 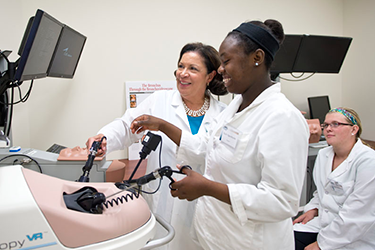 In this unique program students can begin to prepare for careers in science and health care, get shadowing experience and earn a college scholarship. Students who will have completed their junior year of high school and taken chemistry by the time the program begins are encouraged to apply. Horizons in Medicine is designed to give Dayton-area students a sense of the career possibilities in health care and to show them the kind of serious preparation needed to enter such careers. 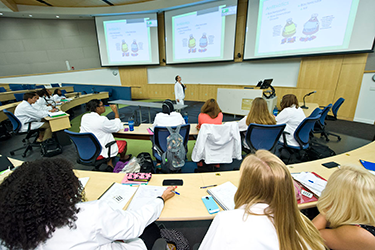 During the program, students spend mornings in classrooms and laboratories at Wright State, where they are introduced to subjects such as anatomy, biochemistry and physiology. They spend afternoons shadowing in hospitals, community clinics and other clinical sites throughout the community. Attendance is required from 8 a.m. to 5 p.m., Monday through Friday. All students who successfully complete the Horizons program receive one-year full tuition scholarships to Wright State University. Since 1979, more than 600 Dayton-area high school students have completed Horizons in Medicine, with more than 90 percent entering college and approximately 80 percent graduating from college. 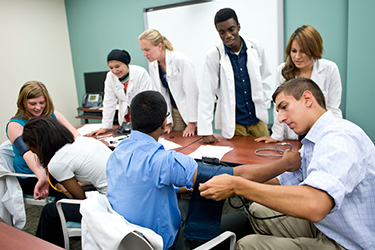 Many Horizons alumni are now M.D.s, and several former Horizons participants are currently enrolled in medical school at Wright State's Boonshoft School of Medicine. Medical Terminology: This individualized course is designed to acquaint the students with the general terminology needed to allow the students to function in a clinical environment. It is taught on an advanced high school/introductory college level. Special Activities: Friday mornings are designed to involve students in a variety of health-related activities, including tours of medical facilities, presentations by area health care professionals and training in topics to assist students with preparing for premedical studies. Faculty Topics are courses structured to introduce the students to various areas related to the study of medicine and other health professions. 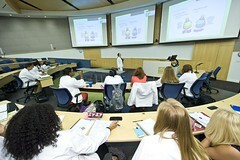 The courses are taught by medical students from Wright State's Boonshoft School of Medicine and graduate students from the Department of Neuroscience, Cell Biology and Physiology. The students are divided into groups of two to four students for this project. Each group is under the direction and guidance of a Wright State University medical student. The purpose is to encourage individual thought and teamwork in areas related to medicine. Students have the choice of writing a group research paper and presenting the findings to the rest of the class or developing their own medically related projects. 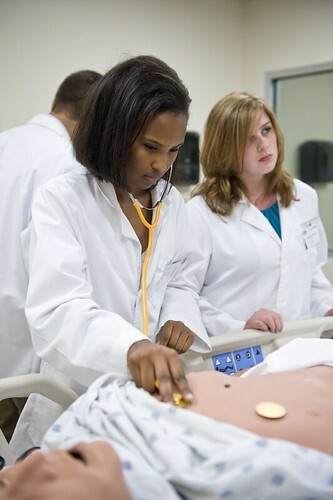 Students who successfully complete the Horizons in Medicine program are eligible to receive renewable tuition scholarships to Wright State University.